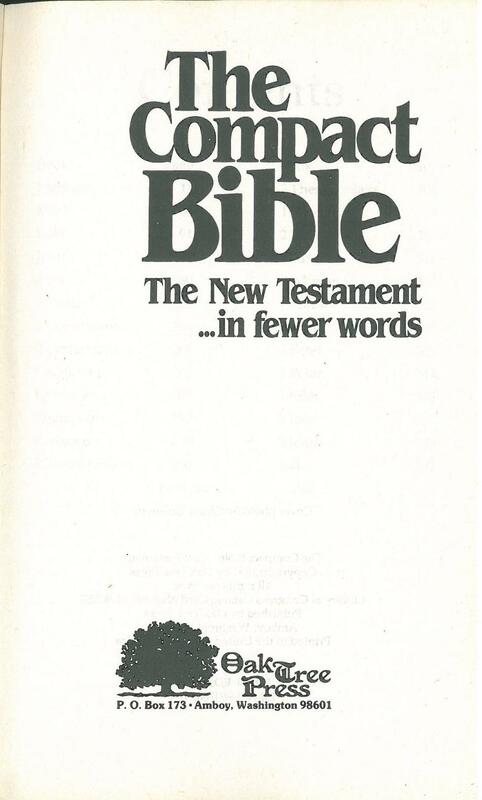 "This Compact New Testament is not a translation of the Bible. It is a paraphrase with emphasis on word economy to provide easier and faster reading. Rather than to make Scripture easier to understand by amplifying or adding words of explanation, the editors have striven for simplicity, brevity and clarity. 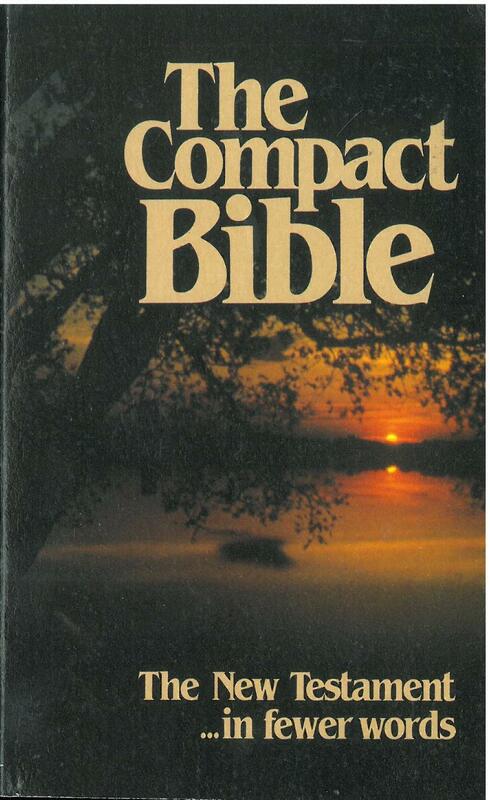 The Compact Bible is stripped of verbiage, redundancies and extraneous words and phrases" - from the Preface. Comments: Chamberlin identifies the editor as Pat Excel.